Got out of CME this morning within the first 10 min. of the market. My targets were 600, 607.75 and 611.50. It was stalling @ 600 and this was the third time it was trying for it. 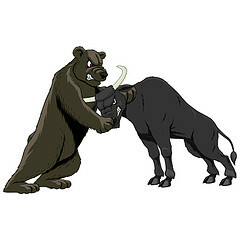 Though it looked very bullish, my position was up A LOT and frankly, I felt nervous and took my position off the table. I had 1 contract. For GOOG and CME, I only buy 1-2 contracts, depending on the cost. My position on CME was Aug570C @ 11.70. I got out at $31. That was 5 trading days and netted $1924 on that trade, which was a 164% profit. The high so far a little over an hr into the market is $608. So, my targets are not too far off. It's trading $35.60 x $38.50. The spread is bigger now than when I got out. I really praise God and give Him the credit for CME because of the 5 positions, this was the position He impressed upon me to look at and focus on. It was really exciting to see that though the Futures were pretty down, CME opened up really well up. CME more than half the time follows the market and I'm certainly glad it didn't today. This goes to show that that group of disciplined traders had their eyes set in the 600-611 range and are doing so well trading their pattern. God just has been so good to me giving me good insights and patience in my trades (not hope, though). Thank you Jesus for those nice profits this morning. What an incredible answer to prayer that was. Just as a note of caution, I am not winging my trades. God has given me talents and abilities to use in my trading. I do combine intuitiveness with all the hard work that daily I put into my trading, learning, practicing, managing my risk. Since we never know what is going to happen in the market, I use risk management by size of positions as well as setting my stops, learning how to better chart, etc. God provides the increase and is helping me to take profits or cut my costs quickly. I will not be trading CME until it either begins its downward decent or breaks through $613 upward. GOOG, I see a target of $554-558. I'm going to wait until it retraces back to around the 20 EMA on the 5 min. intraday charts. I'm looking to get into Sep540C around $9-10/contract. That would put me around $15 ITM and about $7 time value....putting the option around sell @ $22. With higher volatility if it does it quickly, that could be more. That would be a little over 100% profit and I would expect it to take about 5-10 trading days to do this. We'll see. I need to take the kids to school and stop by the grocery store quickly, so hopefully later this morning I can get into GOOG, but that will be a manual entry.